Today we’d like to introduce you to Sean and Queenie Scherer. Sean and Queenie, can you briefly walk us through your story – how you started and how you got to where you are today. Back in 2014, we got together with a couple of vegan friends to launch a locally handcrafted, plant-based, natural skin care + essential oil company. 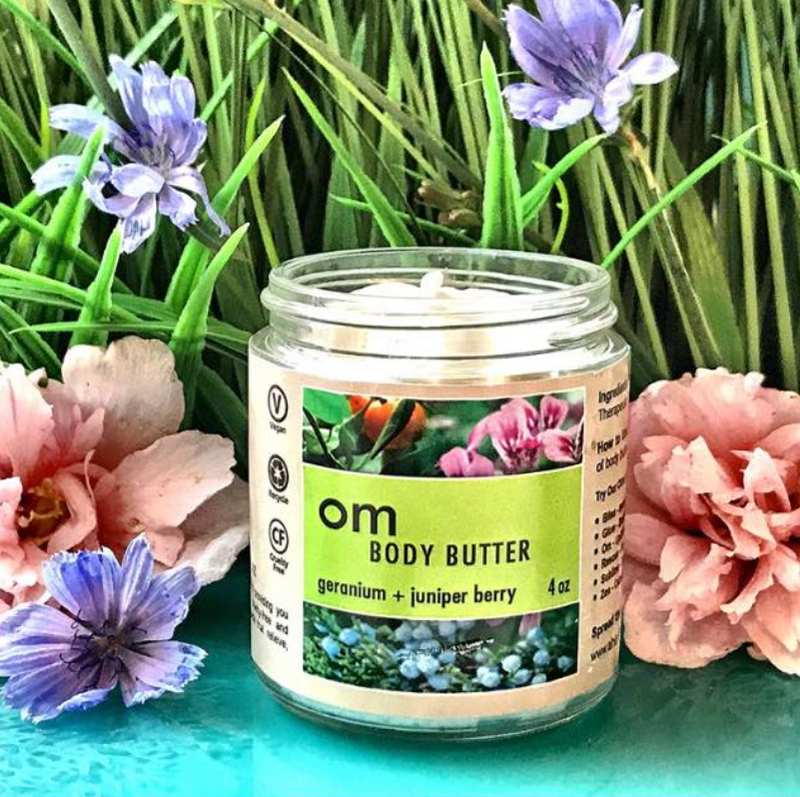 We started with essential oils because we were disappointed by how the industry relies heavily on chemicals and artificial fragrance, even in the most well-known natural, organic and vegan lines. We were also uncomfortable with essential oil companies offering outrageously expensive multi-level marketing pyramid schemes or dirt cheap synthetic oils. 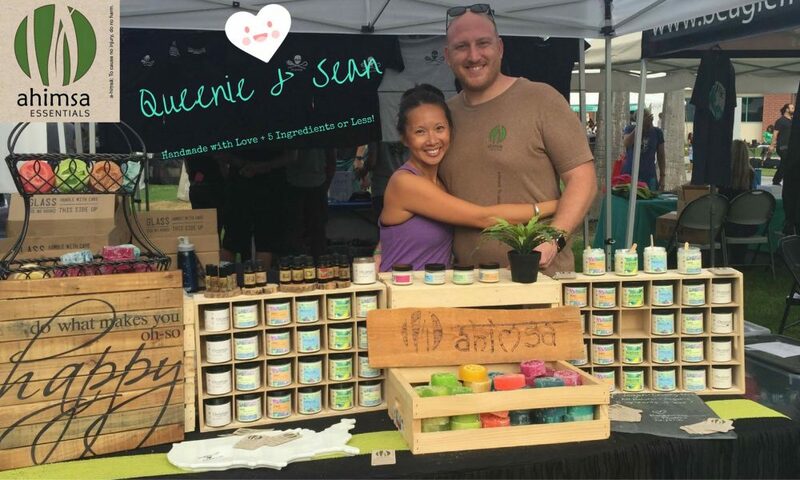 We believe natural health and healing can be accessible and affordable to the masses, so we began within our community at local farmers markets. 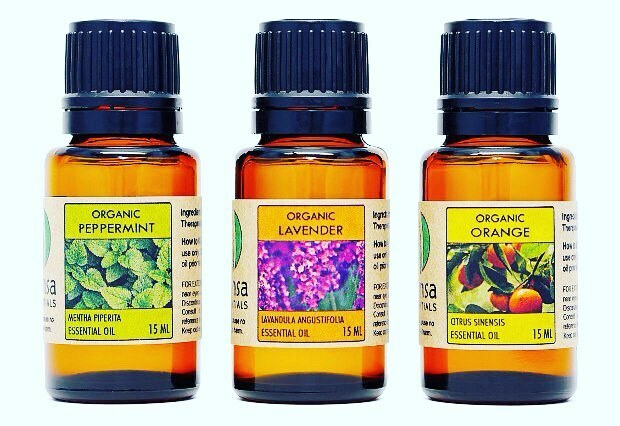 We sell only essential oils of the highest caliber, 100% pure, organic when possible, cold-pressed or steam-distilled and therapeutic grade. 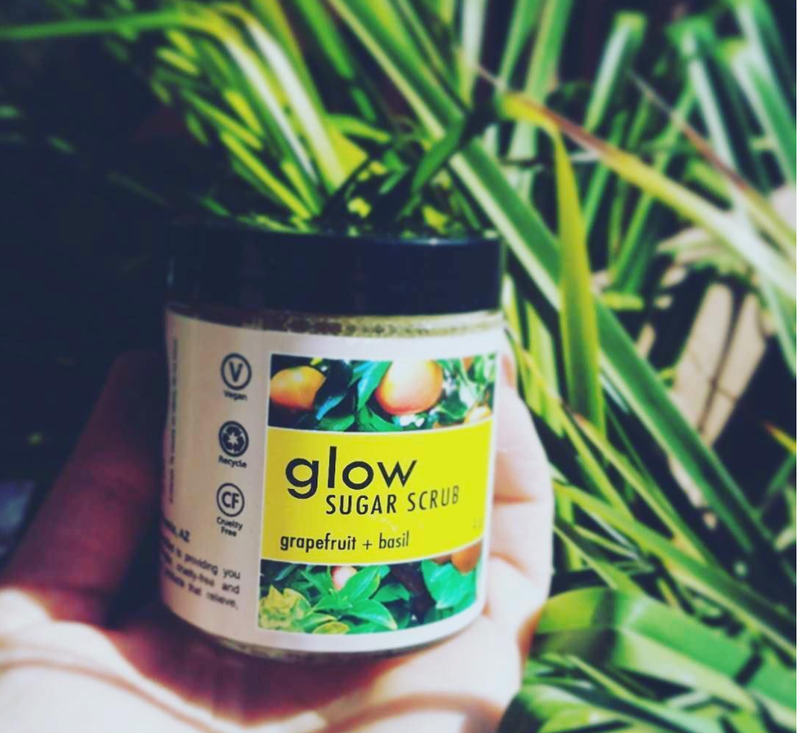 We launched our first 3 products at the end of 2014: pure essential oils, therapeutic balm rollers and exfoliating sugar scrubs. We have now expanded our offerings to include moisturizing body butter, natural deodorant, diffuser jewelry, USB diffuser, liquid castile soap and loofah bar soap. We have grown from one to six local farmers markets, 2 monthly local markets, special events and road shows such as vegfests, seasonal community concerts and artisan markets. Our biggest hurdles have been in learning how to scale up and delegate, both in terms of our production volumes and adding additional help. With organic, natural, handcrafted products like ours, we continue to make small batches by hand to ensure artisan quality and freshness, which is time consuming as demand has grown. We are fortunate to have really loyal and supportive customers who have offered to help us expand into more farmers market and retail locations. All of our market representatives and retail partners are our existing customers who love our products by sharing their genuine stories of how the products have changed their lives. However, we aren’t yet at a position to offer full-time positions, so coordination can be challenging, and we are always looking for more help. So, as you know, we’re impressed with Ahimsa Essentials Skin Care + Essential Oils – tell our readers more, for example what you’re most proud of as a company and what sets you apart from others. We have evolved into a family-owned company. As an environmental engineer and a naturopath wife and husband team, we have received life-changing testimonials for our all-natural and plant-based formulas utilizing the therapeutic properties of essential oils combined with sustainable oils and butters. We named their company after the Sanskrit word, a-him-sa, which means against violence, to embody our mission to cause no injury, to do no harm in thoughts, words or actions to self, others, animals and the environment. 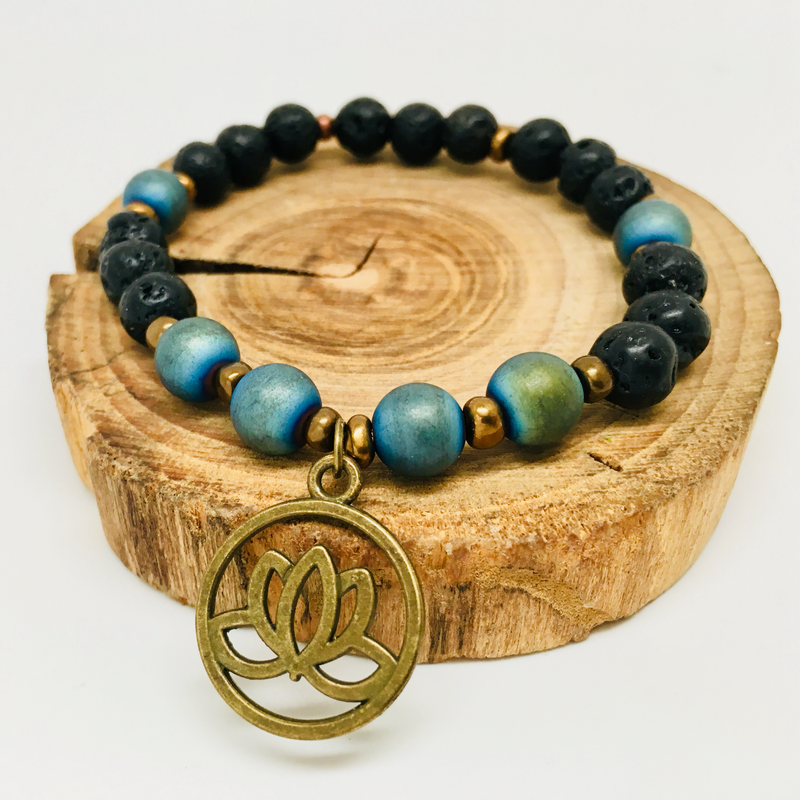 We donate most of the profits to animal causes and local charities and will soon be a 501c (3) non-profit, an impactful foundation to spread ahimsa. We were recently featured by PETA as one of the seven “Asian-American/Pacific Islander vegan business owners who inspire and influence us with their ambition, mission, and merchandise, [Queenie is] changing the face of the animal rights movement one cruelty-free and vegan item at a time. 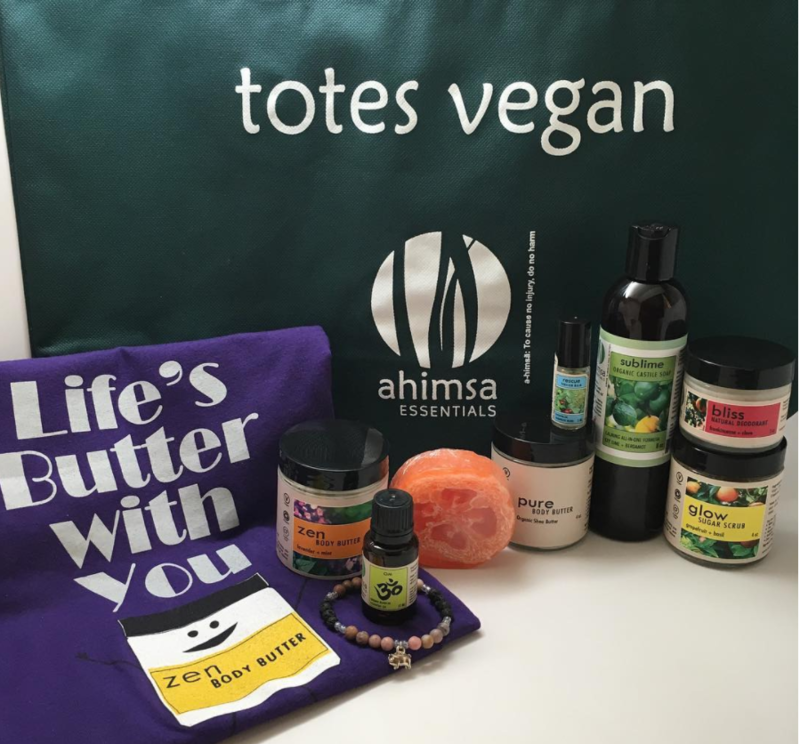 Purchasing their products not only supports their businesses but also enhances our quality of life, benefits the environment, and—of course—saves animals’ lives,” which is why ahimsa Essentials was chosen as one of 7 Vegan Companies Run by Asian-American Women Deserv[ing] All Your Money. We plant seeds of change by educating the community to all-natural healthful living. Our products are made with the ahimsa virtue of doing no harm. Be a healthier, kinder, happier version of yourself with our vegan skin care + essential oils! We are unique in our approach to products because we put strict guidelines on what is natural and essential. Typical bath and body care products have at least 10 ingredients, diluted with fillers and chemical preservatives, one of our guidelines is that our products must all utilize a maximum of 5 ingredients. 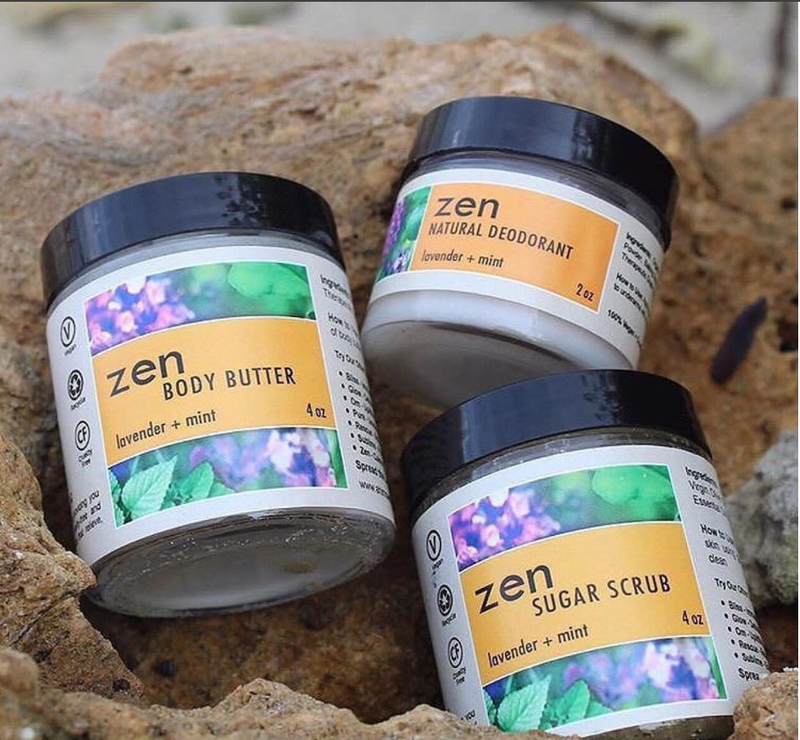 Our best-selling products are our essential oils, our Zen relaxation line and loofah soaps. Find us locally at Phoenix Public Market, Uptown Farmers Market, Gilbert Farmers Market, Pinnacle Peak Farmers Market, Tempe Clark Park Farmers Market, Fine Fitting, Uprooted Kitchen, Southwest Institute of Healing Arts and My Spirit of Yoga, Rose’s Hallmark, and Lotus Day Salon & Spa, Yuma. We continue to listen to our customers and develop formulas that meet their needs. Although all of our products are food grade and safe from head to toe, we have received many requests for products especially designed for the face. Natural sunscreen and rejuvenating face mists are must-have’s for desert living and will be launched later this year! 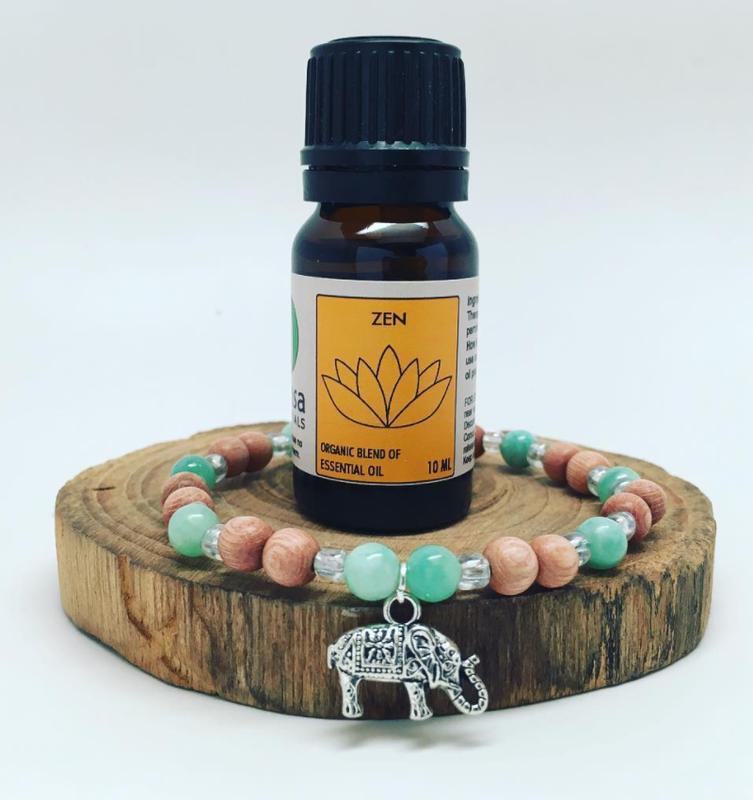 Our handcrafted aromatherapy jewelry has been really popular because the lava and rose wood beads hold the essential oils really well, allowing diffusing to last much longer than topical use. 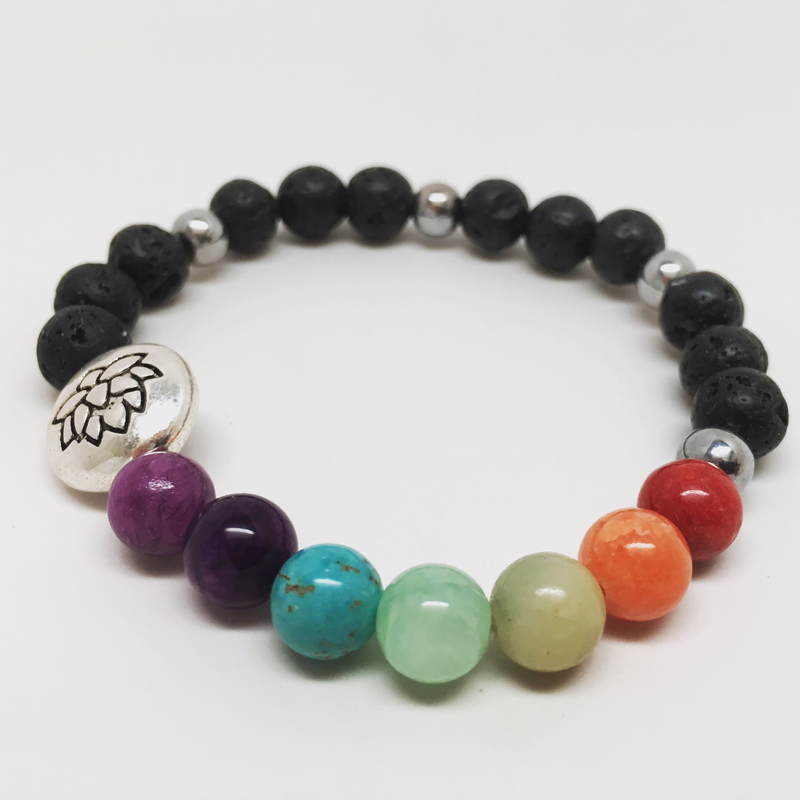 New collections and sets with crystals and energy healing will be launched this year as well! We have short-term goals in place to continue growing our local presence through additional markets and retail locations. We are also looking to start developing large distributor and online sales relationships that can give our products the opportunity to get into more people’s hands and improve more lives. 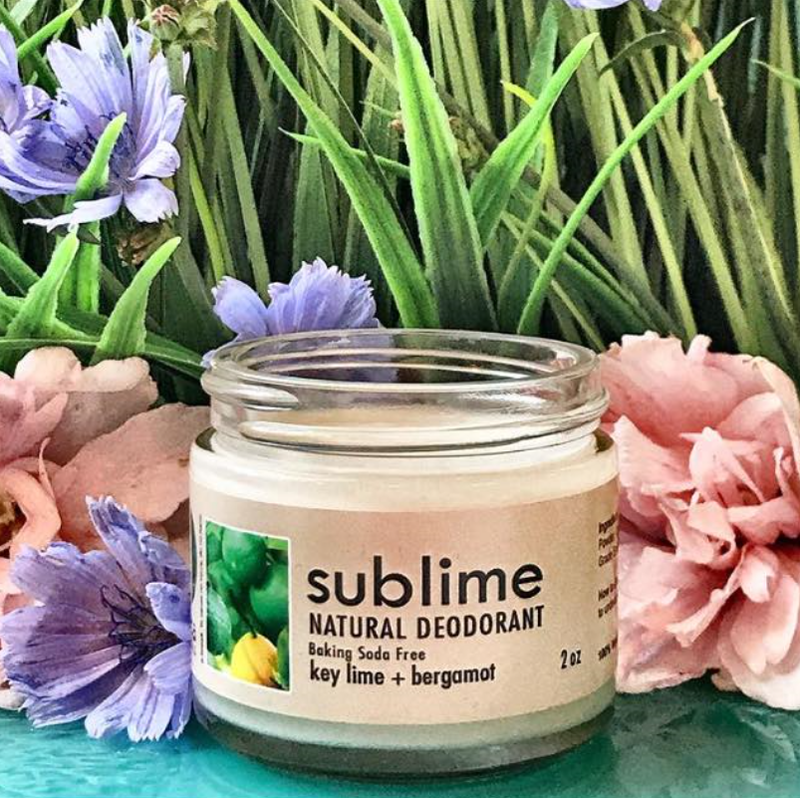 Our long-term goal is to become a household name/lifestyle brand, changing the skin, bath and body care industry to a less is more approach, using only essential naturally healthy ingredients beneficial to our health, animals, and our environment.